...is more than a horse riding program. It is an alternative after school program which engages children in learning about respect, responsibility and development of character. 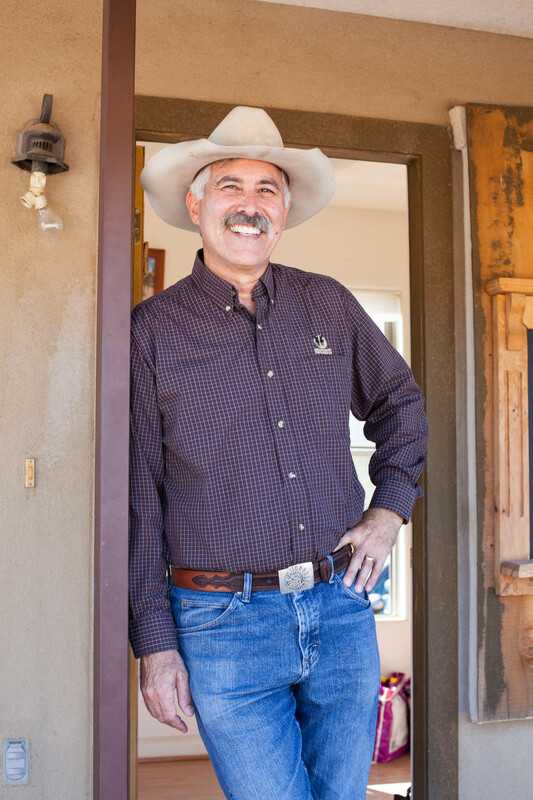 The five week long program is held every Saturday at MacDonald’s Ranch in Scottsdale, Arizona. The three hour session is broken into two sections. 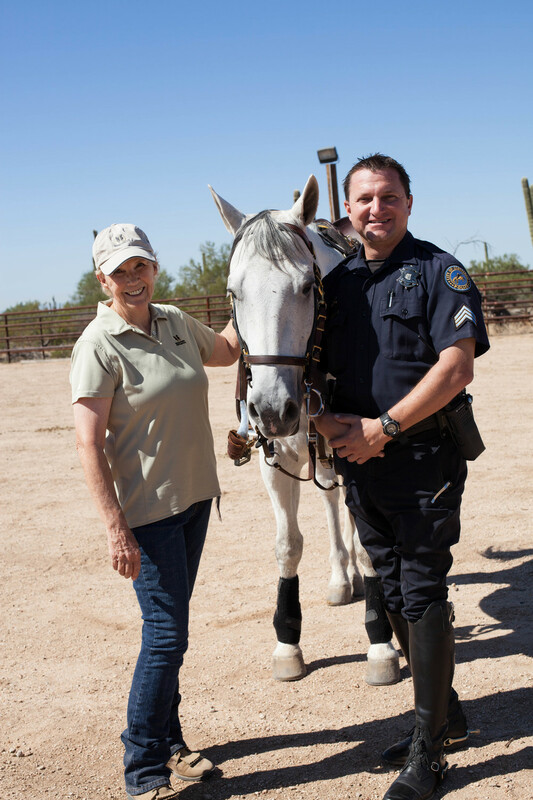 The equine program is under the direction and guidance of Barbara Hanes, an equine educator at Scottsdale Community College Equine Science Department and trainer with 30 years of experience. Students will learn about basic riding, safety, and care of the horse. The Life Skills program is led by Julie Reeve, Director of Education for Health World. Students will learn skills about making better choices with classes on drugs, alcohol, and tobacco. Additionally, students will learn about first aid, desert survival, and team building. The Phoenix Herpetological Society, Liberty Wildlife, the Scottsdale Fire Department, and the Scottsdale Mounted Police may visit the camp and assist in programming. Horsense is a dynamic equestrian youth riding camp designed for students aged 9-10 years old, who otherwise would not have the opportunity to interact with horses. This outreach program is operated by Health World, a non-profit 501 C3, locally based organization that champions children's safety and health through prevention and sponsored by the Scottsdale Charro's and MacDonald's Ranch. Horsense is a series of five camps, each five weeks in length. The camp is structured in two sections; basic equine instruction and life skills classes. The equine program was developed by World Equestrian Champion, Al Dunning and Barbara Hanes, who serves as the head equine instructor. Campers will learn basic riding, safety, and care of horses. The Life Skills classes include basic first aid, desert survival skills, team building, and making better choices with classes on drug, tobacco and alcohol prevention. Serving as mentors/buddies to the campers are high school students from local schools such as Notre Dame, Brophy, and Xavier. Other dedicated volunteers provide support as Camp Crew, Ride Crew, and Life Skills Educators. Together, the program engages children in learning about respect, responsibility, leadership skills, making better choices and develops character and self-esteem. Horsense is a series of five camps, each five weeks in length. The camp is structured in two sections; basic equine instruction and life skills classes. The equine program was developed by World Equestrian Champion, Al Dunning and Barbara Hanes, who serves as the head equine instructor. Campers will learn basic riding, safety and care of horses. The Life Skills classes include basic first aid, desert survival skills, team building, and making better choices with classes on drug, tobacco and alcohol prevention. Dedicated volunteers provide support as Camp Crew, Ride Crew, Life Skills Educators, and mentors. Together, the program engages children in learning about respect, responsibility, leadership skills, making better choices and develops character and self-esteem. Campers will receive a journal that they should write in about their experiences at camp. Photos will be available from each camp on the Camp Photo Board. Campers are encouraged to take pictures home to include in their journals. Campers will also have an art project, learn to rope, and play horseshoes. Safety is our number one concern. Campers are outfitted with helmets and vests for equine instruction. Campers are given instruction on safety around horses and are supervised and instructed by a member of our ride crew. Parents should be aware that, under Arizona law, pursuant to A.R.S 12-533, an equine activity sponsor or professional staff shall not be liable for any injury to, or the death of a participant in equine activities resulting from the inherent risk of equine activities. If you have any questions regarding this law or the required Riders Assumption of Risk form that must be signed and on file for your child, please contact the Horsense Program Coordinator. The Horsense campsite has indoor bathroom amenities and shade areas for students to gather. We provide drinking water at all times and a healthy snack is also provided. Horsense provides campers with a t-shirt and cap to wear to camp. Please have your child wear their shirt and cap to every camp. For safety reasons, all campers should wear long pants, closed toe shoes and sunscreen. Graduation is an opportunity for our campers to demonstrate their skills in a horse show. Campers will then participate in a graduation ceremony. Afterwards, everyone is invited to enjoy lunch and refreshments. We encourage parents, grandparents, and siblings to attend this special event - please join us! Transportation of students to camp is provided by your elementary school, club, or in some cases by the parents/guardians. Please contact your school office for departure location and times. Buses will depart from camp at 12:00 noon - please check with your driver for the pick-up time at your school. Copyright © Horsense. All Rights Reserved.